Pete Stollery studied composition with Jonty Harrison at the University of Birmingham, where he was one of the first members of BEAST in the early ’80s. He composes music for concert hall performance, particularly electroacoustic music and more recently has created work for outside the concert hall, including sound installations and internet projects. 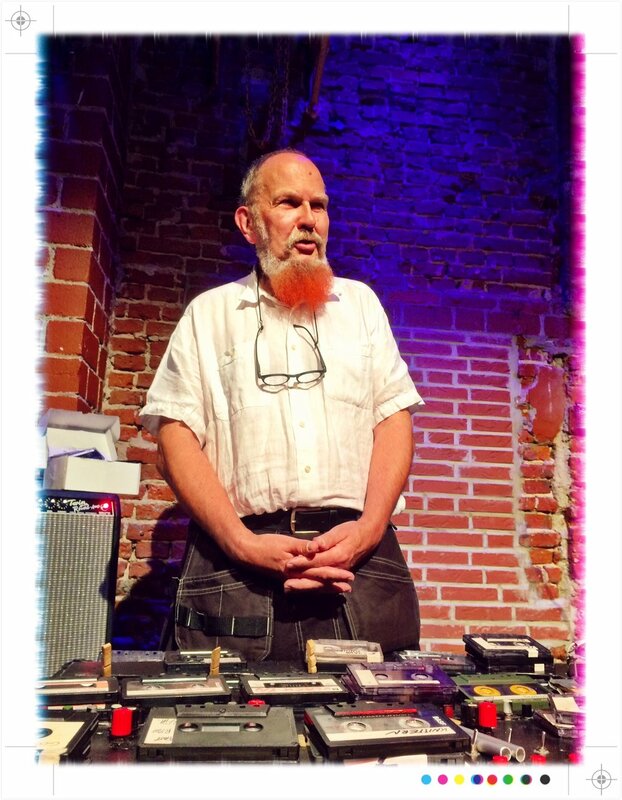 He is Professor of Composition and Electroacoustic Music at the University of Aberdeen. He is also Chair and Co-Director of the sound festival, Scotland’s annual new music festival. Halla Steinunn Stefánsdóttir has been the artistic director of Nordic Affect since its inception in 2005. Believing that the exciting things happen “in the connection” Halla Steinunn’s work with the ensemble has been a tour de force when it comes to collaborative relationships with composers, visual artists, and producers. Furthermore she’s brought the spotlight to women’s role in music history, leading to projects such as HÚN/SHE which was broadcast by the European Broadcasting Service in 2015. His international, and enthusiastically ecumenical practice, has lead him to work everywhere from the frozen seas round Greenland, to a palace in Venice for the 55th Biennale. Along the way he has collaborated with other Sound Artists and Musicians, with Dancers and Scientists, Visual Artists and Architects, Poets and Archaeologists, Performance Artists and Wildlife Rangers.